I've always wanted to shoot FILM at sunrise at the beach and during summer. That was my initial inspiration for this session. I wanted to showcase the light, water but most importantly I wanted to showcase love, buy having a "real couple" model for me. So my two friends whom I've photographed before and some other special friends came out to help make that vision a reality. The light blue/gary tulle skirt was perfect against the rocks and cliffs of Corona Del Mar not to mention it also complimented the colors of the ocean brining out the hues of sea foam green. Her makeup was fresh and clean and hair was lightly curled and kissed by the salt air. To tie this love session together Wild Sage Flowers made this amazing, over size, loose and organic bouquet. The warm sunrise, crashing waves and two lovers made this sunrise love session magical. When I see my Mama and my two girls together my heart just melt. l grew up being very close to my mom and my siblings and I did everything with her. We spent summers going to farmers market, gardening and cooking. Driving to Hood River and picking our own fruits and veggies it was a glorious childhood. My mama and girls are crazy close and she is teaching them the exact same things and values that she taught my siblings and I. I love this women more than words can express on day I will write about her courageous story escaping her war torn country, til then here is a spring time session with her and her grand babies. Y’all I will be offering “ Motherhood/ Mama and Me” Mini or Full sessions at a special rate. Mamas I know exactly how you feel about these treasure moments. It’s a real struggle for me these days not to book my very own sessions every quarter. They grow up way to fast and I will not stand by and not be in photos with them and to have those family heirlooms. And neither should you!!! I will hold two dates one for OC and one for SD. For my SD friends I will need to book 4 sessions to make that date happen. 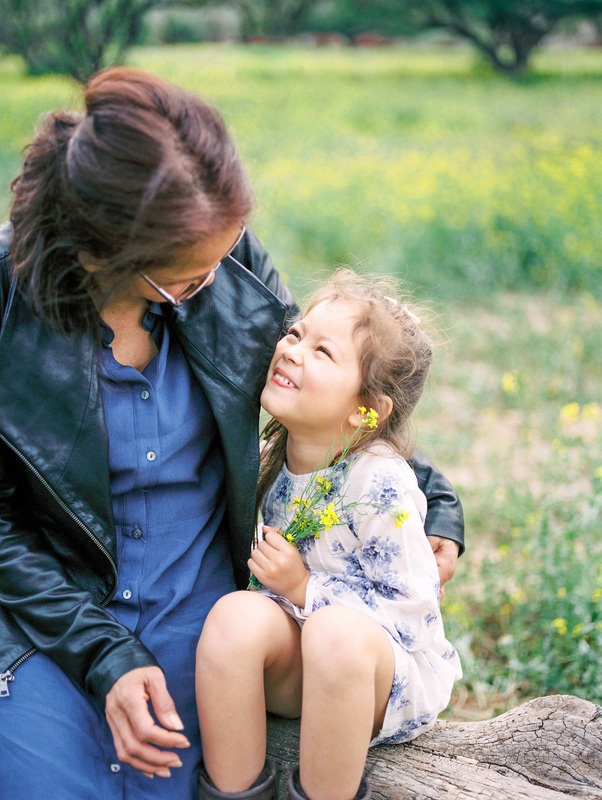 Ok here are the details: Mama and Me Mini Session 30 minutes 20-25 (maybe more y'all know me) film magic images with copy right release for $375.00 (thats 50% off normal rates y'all) Since we have had some rain the fields will be over flowing with long green grass, wild flowers which aren't here long friends and of course yummy golden light! Or if you want more details story telling through motherhood I will have FULL sessions available too for a special rate. P.S this would make an amazing gift for Grandma! Why not gift this session to grandma with her grand baby (s) walking, laying, giggling in fields filled with nothing but LOVE! I’m telling you she would be over the moon to get these images and for your children to have these and share these images to their children… just saying!!! Please don’t wait!!!!! I already have two booked for the OC already, so please holler at me ASAP before spots are filled!!! I have so many favorite types of sessions from the intimate detailed filled weddings, dreamy mother focused maternity, candid lifestyle newborns or fun and energy filled family sessions. But what I completely adore is all the LOVE that comes along with these sessions. The pure simple love that I get to capture and freeze in time. Here is a fellow photographer who I have been so grateful for her friendship and humbled to mentor, teach, and help her develop her style and vision of her craft. I had a blast documenting her and her sweet family in the golden rolling hills of Southern California this past summer. BTW this is my very first hybrid (film and digital) blog post! Mama and her sweet girls! Gosh can I get any luckier with these three as my subjects?! I have had the honor of taking their photos since the beginning and they just keep making my job easier and easier. And a sneak peek for part II after winter break! I adore this family and I'm in love with all the photos from this session! Here is a sneak peek stay tune for more to come!! Here is sneak peek of this beautiful maternity session at the beach. Love and adore this family! All we need is LOVE!!!! If you’re someone who has a DSLR and wants to learn how to use it better…. how to take better photos of your family…(children because they do grow up to fast) how to photograph the world how you see it with your own eyes…this workshop is for you! This workshop will be a one day 1pm- sunset intensive (not the scary kind of intensive, the good kind). The first half of the day, we’ll be learning the basics of our cameras, what the different buttons do, and some important photographic concepts accented by my own stories (my girls) and tidbits from my learning journey. Then, after some yummy Board and Brew (maybe you’ll just come for that) goodness, we’ll head out and put to practice what we learned the first part of the day. I’ll be demonstrating some shooting techniques that I use every time I shoot, and it will be a great time for those “I need to do it to learn it” types of people. Long story short, I’d love to see you May 3rd…. I hope you can make it. I’m keeping it small so there are only 10 seats so get yours quick! Includes: An awesome small and private custom designed workshop, coffee, drinks, Board and Brew lunch, surprise goodies and a live stylized shoot the last two hours. Price: $150.00 and there will be a deposit of $30 to secure your spot. However to make this workshop happen there needs to be at least 6 attendees. Sneak peek of the amazing, sweet, selfless and very humble couple! My love nugget turns ONE!!! Here is a sneak peek of her one year photos! This little girl has more designer clothes and shoes than both my husband and I combined! So I took advantage that she wanted to take photos and show off her new threads! I found this little boys hat at Janie and Jack, but since it's been so cold I thought it would be perfect for my sweet little girl!